Saint John's mascot, the Eagle, is powerful, independent and possesses the ability to endure through adversity. These are some of the traits that are emphasized at Saint John. 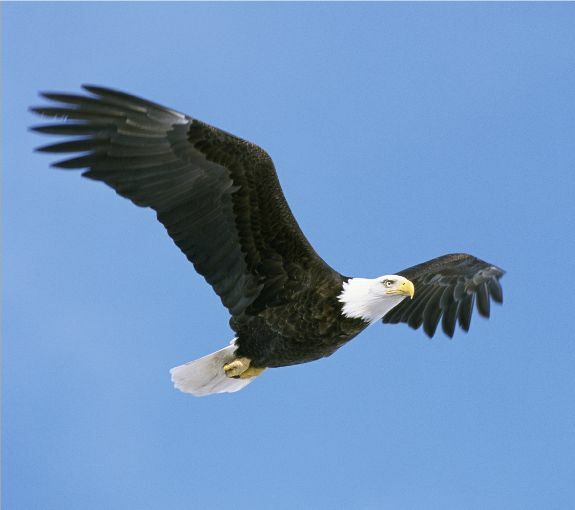 As an eagle soars with strength and confidence, so do students who leave the elementary level, prepared to meet all challenges that await them in the higher levels of their educational process. In 1870 Archbishop Napoleon J. Perche, Archbishop of New Orleans, had as one of his main concerns that of a Catholic education for children. He preached and wrote tirelessly on this subject and greatly influenced Father M. Harnais, pastor in Franklin. Father Harnais made known his desire to establish a Catholic School for girls to the Archbishop, had his plans approved, and endeavored to buy the property and building west of the Methodist Church on Main Street. He wrote to the Provincial Superior of the Marianites of the Holy Cross requesting her to come or to send sisters to Franklin for a visit. In the summer of 1871 two sisters came, were favorably impressed, and upon their return urged the Superior to accept the mission. On October 31, 1871, Mother Mary Euthychuis and four sisters arrived in Franklin. The building which was to be their future home needed many repairs; the sisters worked hard and finally both the school and the convent were in readiness. St. John Academy received the blessing of the Church on November 4, 1871. The institution was placed under the guidance of Saint John the Evangelist, and was called The Academy of St. John. It was the fifth permanent foundation of the Marianite Sisters of Holy Cross. In 1920, Sister Mary Xavier became principal of Saint John Academy. To accommodate the many boarders seeking a refined education, she had the convent enlarged, a third story added and many other improvements made. The convent celebrated its Golden Jubilee in 1921, and under the leadership of Sister Mary Xavier, Saint John's Auxiliary was organized in 1923. Not long after, its name was changed to Saint John Cooperative Club. Saint John continued to progress and in 1924 received the stamp of the state seal, approving the course of studies. The principal appointed in 1932, Sister Mary Frances, spent many years here, weathering a storm and a depression. Despite these hardships, the school progressed and a Pieta was erected on the campus in thanksgiving. The following years saw the school growing little by little and Sister Frances became a dear friend of many in the community. In 1949 the Marianite Sisters sold the property on which their convent was built to the Church of the Assumption. Father Rousseau then purchased property on the corner of Main Street from Mr. Rene Himel and on that site built a new school building in 1950, the present Saint John Elementary. The new convent was built in 1960 and in 1965 the cafeteria was erected. By 1986 most of the Marianites had left Saint John and for the first time the school came under the administration of a lay principal, Mrs. Diane Nugent. Sadly the services of the Marianites ended completely in May of 1991. Another era ended in the fall of 1991 when Mr. Joseph D. Doucet became the first male principal of Saint John. Mr. Doucet’s leadership extended from the fall of 1992 to May, 1997. Appointed to succeed Mr. Doucet for the 1997 school year was Gayle Clement, a retired teacher and principal of the St. Mary Parish School System. Mrs. Clement served as principal for ten years. Mrs. Sheri Higdon was appointed principal for the 2007-2008 school year. Today Saint John is under the purview of the Pastor of the Church of the Assumption and is under the administration of lay personnel and staffed by qualified, dedicated teachers. Saint John is no longer a high school for girls, but rather a grammar school for boys and girls from Pre-Kindergarten through Grade Five and serves eight church parishes.